This year, your CDFI’s vote for the OFN Board is more important than ever. Whether you can join us in Atlanta on October 26 or you are voting for the first time by proxy, your CDFI’s vote will determine the future of OFN. Although OFN Board Elections are always pivotal for our Members and the CDFI industry, the 2016 Elections are perhaps one of the most critical in OFN’s history. OFN announced in June that, after more than 20 years at our helm, Mark Pinsky stepped down as President & CEO. OFN’s current Board is actively engaged in a nationwide search for OFN’s next leader. The 2016 Board Elections is not only an election for new Board Members, it is an election for the future leadership and direction of OFN and the industry. 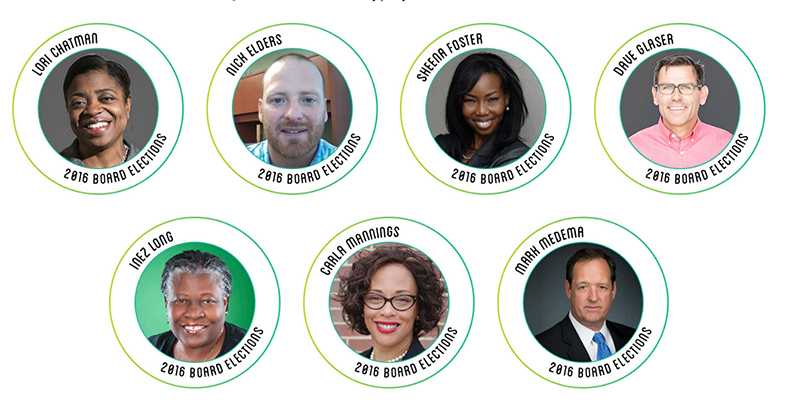 Check out the Meet the Candidates page to learn what the candidates value and want to accomplish as an OFN Board Member. In addition, keep a close eye on the OFN blog where we will feature unique interviews with each candidate throughout October. The Board Election will take place during the Annual Membership Meeting at OFN Connect at OFN’s Annual Conference in Atlanta. During the Conference, OFN will provide candidates and voters with additional opportunities to engage, and each candidate must also make a brief statement before the Membership during OFN Connect. If you are not attending the Conference this year, email Seth Julyan to find out how you can vote by proxy! I sincerely encourage every Member to get engaged—learn about the candidates and vote at the Annual Membership Meeting or by proxy. Share your voice. Your vote counts!